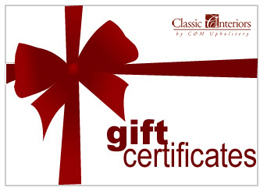 Classic Interiors is a small team of professionals, dedicated to helping you transform your home or office into the space of your dreams. We started out as a one-woman reupholstery company, founded by Catherine McCauliffe in 1981. Driven by her love of sewing and desire to create beautiful things, Catherine began C&M Upholstery, so she would have an outlet for her creative energy. She liked nothing more than transforming old, worn-out furniture into pieces that looked like new. Her attention to detail and commitment to superior workmanship was evident in every project she completed. 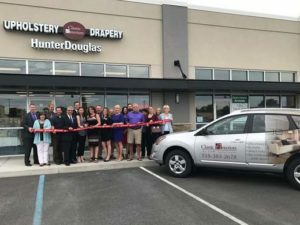 What began as a hobby became a family-owned and operated business. Catherine passed down her creativity and talent for finding the beauty in everything to her children. Her son, Kevin, joined the company in 1985. And her daughter, Lynn, followed in 1987. 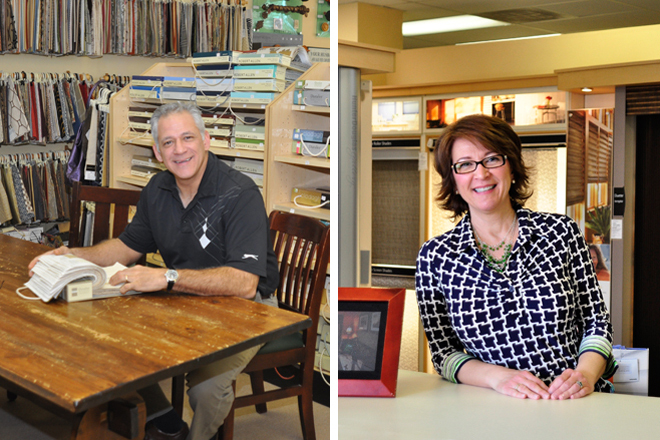 Together, they grew the business from a one-woman shop to a complete home furnishing company. Classic Interiors opened its first retail location in Grogan’s Plaza on Route 9 in 1987. We’ve moved three times since then, moving to our current location in 2017. 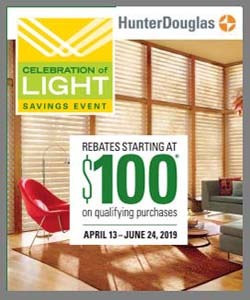 Today, we have expanded our offerings to include custom blinds, shades, sheer shadings and shutters from Hunter Douglas. In our showroom we feature more than 9,000 fabrics for window treatments, bedding and upholstery. Kevin and Lynn co-own Classic Interiors and are now running the business. Many things are different than they were when their mom founded C&M Upholstery more than 30 years ago. But some things haven’t changed. We’re still a small, local, family-owned and operated company. We maintain the family-like atmosphere our mom started, so we can provide our clients with the personalized attention they deserve. We approach each project with the same level of care and attention to detail as our mom, to give you the one-of-a-kind designs you’re looking for. 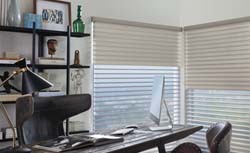 We offer the full line of Hunter Douglas window treatments, as well as custom draperies, top treatments and reupholstery services. We service not only Clifton Park, but Halfmoon, Saratoga Springs, Loundonville, Albany, and Mechanicville, NY, and surrounding areas. Please contact us to learn more about our products and services or to schedule a free in-home consultation today!